If you love the "wood look" but worried about the cost and the potential maintenance, then wood effect plank-shaped tiles are the perfect choice. They are not only an alternative to wood but a much more sophisticated option than laminate or vinyl. 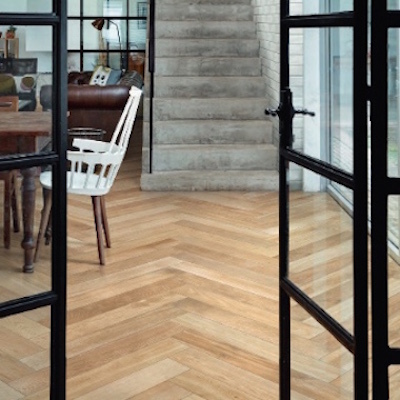 The quality and textures achieved on some of the wood effect floor tiles nowadays is amazingly real and natural. To add to that it will last for many many years with little maintenance required. Suitable for any room in your house, we are not only seeing hallways and conservatories being tiled with wood effect tiles, but bathrooms & kitchens to give a warmer feel and even bedrooms and lounges. Wall wood panels are also becoming much more popular and proves to be a sophisticated panel effect particularly behind a sink or in a shower area. The wood-look tiles are generally plank shaped so can be fixed with a 'staggered' effect to emulate natural timber, or geometrically straight or at an angle for a more modern look. We also have a few wood-look borders and wood plank tile too!